iSpark is an all-inclusive beat-making solution allowing to create rich tracks from A to Z while experiencing an unequaled workflow. It includes a large variety of drum kits and individual instruments based on the most renowned drum machines and top-notch sound design. It is the result of a simple recipe, care for rhythm, innovation and uncompromising ergonomics combined with the personality of the greatest drum machines. 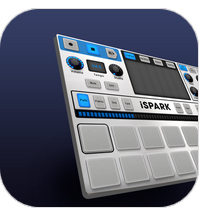 iSpark allows you to play drum patterns in-real time and to tweak your sound on-the-fly. Its optimized and performance-oriented layout gives you a direct access to an extended range of sonic parameters. It also integrates a powerful and flexible 64-step sequencer enhancing your creative freedom and effectiveness. iSpark unites our multi-rewarded TAE® technology coupled with a modular engine and crystal-clear multi-layered samples. Beyond drum and percussive sounds, iSpark blasts the frontiers of beat-making through a range of singular sonic effects, warm analog synth textures and melodic elements. The main screen is all about performance. Its layout, inspired by our SparkLE controller, gives you immediate access to a comprehensive set of fundamental controls and parameters. Its lower part allows you to play and record your drum patterns in real-time, step by step, to jump between your patterns and to set their length. In the mixer, you can adjust the volume and panorama of your instruments, set two individual effects for each of them, and modify the sending levels to the return effects. The VU meters help you to balance effectively your instruments. The Studio is the iSpark laboratory of sound. This is where you will customize your kits and all the instruments that compose it. For each instrument, you can choose the samples that are used and adjust a comprehensive list of parameters. In the sequencer screen, all the steps of your different instruments are right in front of you. You can thus create your sequences in a flash. Besides, the automation tool allows you drawing modulation curves with a simple glide of your fingertip. The Song mode gives you the possibility to chain your pattern in order to create a whole performance. 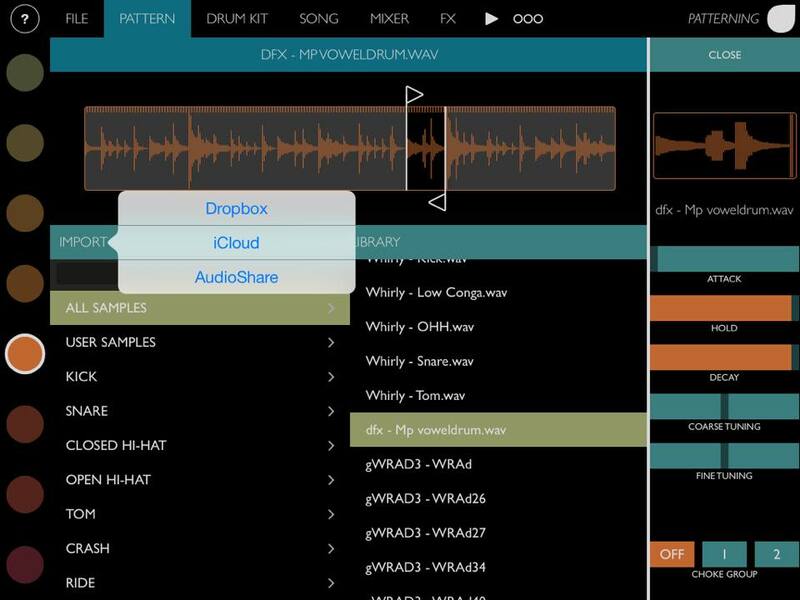 Organizing your song is as easy as a drag-and-drop. Switch to “Perform” and discover two large XY modulation touchpads that will bring your songs to life. iSpark offers a total and seamless compatibility with the existing Spark environment. Maintain continuously your creative flow by transferring in a heartbeat your projects, patterns, your kits and individual instruments between Spark 2 and iSpark. Connect the dedicated SparkLE controller to iSpark and associate the flexibility of an app-based instrument to the effectiveness and comfort of hardware. The compatibility with AudioBus and Inter-App Audio offers a smooth integration of iSpark in you iPad-based setup. With iSpark, your mobile setup found its beat-making solution. · Possibility to share projects, kits and instruments between iSpark and the desktop version of Spark 2. Grid style editor for easy rhythm programming and editing. Kit editor for building your own multi-sampled drumkits. Song editor for easy song building. 32 Velocity-sensitive pads for live-recording. Rock-solid sync via Inter-App-Audio, Ableton Link or midi-in clock sync. Audio file and midi file export to other apps. Audio file and midi file import from other apps. Full Inter-App-Audio and Audiobus support with individual outputs per instrument (16+1). Low-latency midi-in handling for notes, control changes and program changes. Extensive midi-in configuration options per port. Midi-learn for mapping of notes and remote commands. A dedicated store with great content. 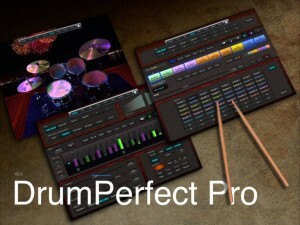 DrumPerfect Pro now offers Styles Packs. 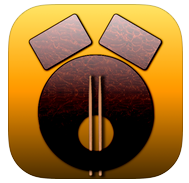 Professional-grade musical content (drum kits, songs and patterns) covering a vast variety of drumming styles, downloadable as In-App Purchases. 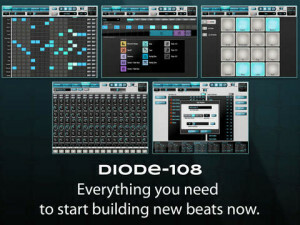 Now you can slave your other apps and hardware to Diode-108 drum machine for iPad with MIDI sync out. You can also send MIDI notes out from Diode-108 as well. 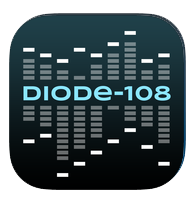 Diode-108 is the only iPad drum machine on the market with direct control over every effect—HIT BY HIT. The new leader in drum machines is here, with 16 voices (not 9), drag-and-drop per beat effects, note mode to change pitch, and the ability to make and share kits. Revolutionize your groove-making and create sounds you’ve never heard before. Don’t control just one or two effects—control pan, volume, tone, pitch, decay, compression, and distortion, delay, and reverb on every beat—not just per track. Diode-108 is packed with a variety of built-in vintage, classic, and acoustic kits, but you can easily mix and match samples to make your own custom kits. Or import wav files for even more variety. Once you’ve built your groove, DIODE-108’s drag-and-drop effects make it fun and easy to create completely new beats. This version adds MIDI sync out and MIDI note out to Diode-108’s already existing MIDI in capabilities. * Drum kits licensed from partners Dubsounds, Samples From Mars, Orange Tree Samples, and 99Sounds. * Kit Load and Save. Share kits with your friends!. Tap your beat on our 4-by-4 array of drum pads. Record into the active pattern, or just play along. Diode-108’s crown jewel is its drag-and-drop beat FX. Want a reverse cowbell? Want a bitcrushed tom? Want a cymbal that performs a pitch dive across several beats? Just drag and drop the effect tokens onto beats, and drag them left and right to cover any beats you like. Turn a long-lasting cymbal into a rhythmic backbone. Build up a collection of named patterns from scratch, or import selected patterns from existing songs. 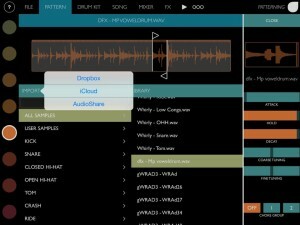 Then drag and drop the patterns to build up a song. Export your songs as wav files via a variety of options. Want to load your own samples into Patterning? Here is how to import samples into Patterning. I’m also giving away a free set of analog drum samples that were designed on a Moog Voyager. Patterning is an inspiring new drum machin from Olympia Noise Co. As beautiful as it is powerful, Patterning is a deep and flexible sample-based drum machine unlike any you’ve encountered before. 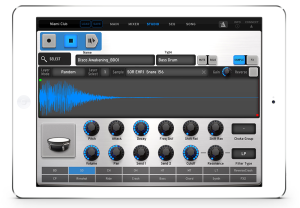 With its elegant circular interface, Patterning transforms the iPad into a serious tool for beat-making. 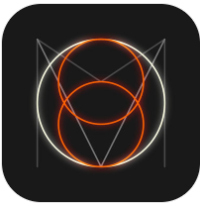 Create dynamic drum patterns with the swipe of a finger. Make evolving, poly-metric rhythms, four-on-the-floor dance party jams, or laid back R&B grooves. Use Patterning’s independent loop settings to explore untapped rhythmic possibilities. Automate parameters to create intricate & complex beats. Arrange patterns on the timeline to construct songs. Use the built-in effects–delay, reverb, distortion, and 3- band EQ–to add atmosphere, shimmer and noise. Connect to other apps with Audiobus, Inter-App Audio, and MIDI. Patterning comes loaded with classic drum machine samples as well as exclusive drum kits created and curated by contemporary producers and musicians. For the independent producer, it’s easy to import samples for custom kits.